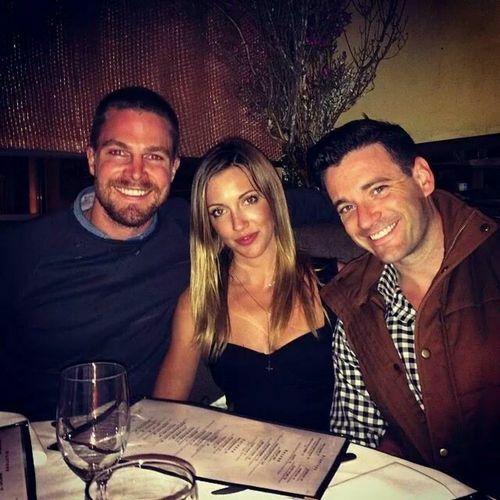 Stephen,Katie and Colin. . Wallpaper and background images in the Oliver & laurel club tagged: photo stephen katie arrow lauriver. This Oliver & laurel photo might contain saman perniagaan, sut perniagaan, brasserie, and meja makan.